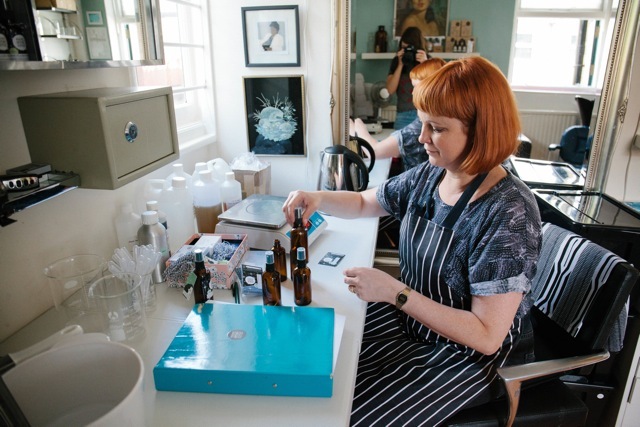 Jayne is a hairdresser who brews her own range of hair products in Brixton under the name of Hairy Jayne. At Making Uncovered she will be showing the process of creating handmade hair products, including conditioner and hair perfume, using essential oils and natural products. My work is mixing potions which are good for your hair (in between doing haircuts). 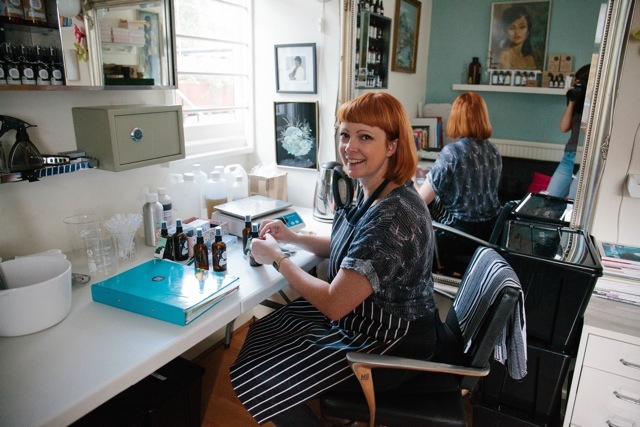 I have a little studio in Brixton where I make hair care products from naturally derived ingredients and essential oils. 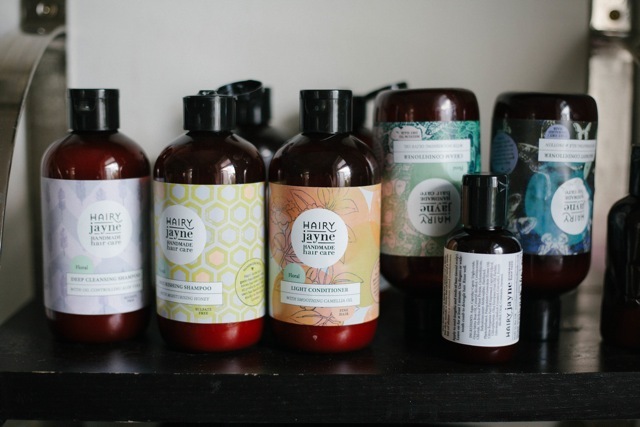 I’m inspired by nature, nostalgia and the traditional hair care ingredients used around the world, such as oils, flower extracts and essences, and I avoid using harsh chemicals. I make shampoos, conditioners, a hair oil and hair perfumes, which are designed to freshen up your hair between washes. A lot of people that I speak to about my product range are usually really curious about what goes in to making it. I’d like to show people that it’s not much different to cooking – once you have the recipe sorted, off you go measuring and melting things and stirring them together. Also I loved the idea of collaboration, of me giving the participants a base recipe and then them personalising it with ingredients to suit their hair type and fragrances that they love. I’m intrigued to see what people come up with! I’ll be running two workshops. The first is conditioner making, where the participants will first vote for the oils and additives they’d prefer. Then I’ll demonstrate making the base of the conditioner. The base will be divided up into little pots, and then each person will then be able to customise their pot with the essential oils that they choose and add their own labels. The second one will be making a hair refresher or perfume from scratch, choosing the ingredients to suit their hair type and their choice of essential oils. Hairy Jayne’s Making Uncovered workshops are at 11.30am and 3.30pm and cost £10 each – book your place here!